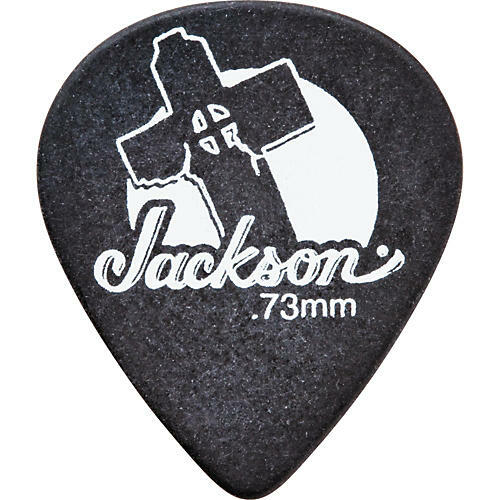 These matte-finish Jackson guitar picks are truly made to withstand night after night of brutal picking attack. Featuring a leaning graveyard cross image, these picks are wickedly cool and ready to serve for years to come. Choose your pick thickness and get the right feeling for your best guitar sound.